​Grab a cup of coffee and settle in. The words of J.V. Manning will have you soul searching, thinking random thoughts and seeing life in a whole new light. With her straight to the point and matter of fact style of writing, you're sure to find something within her words to inspire you and make you feel less alone in this crazy world. 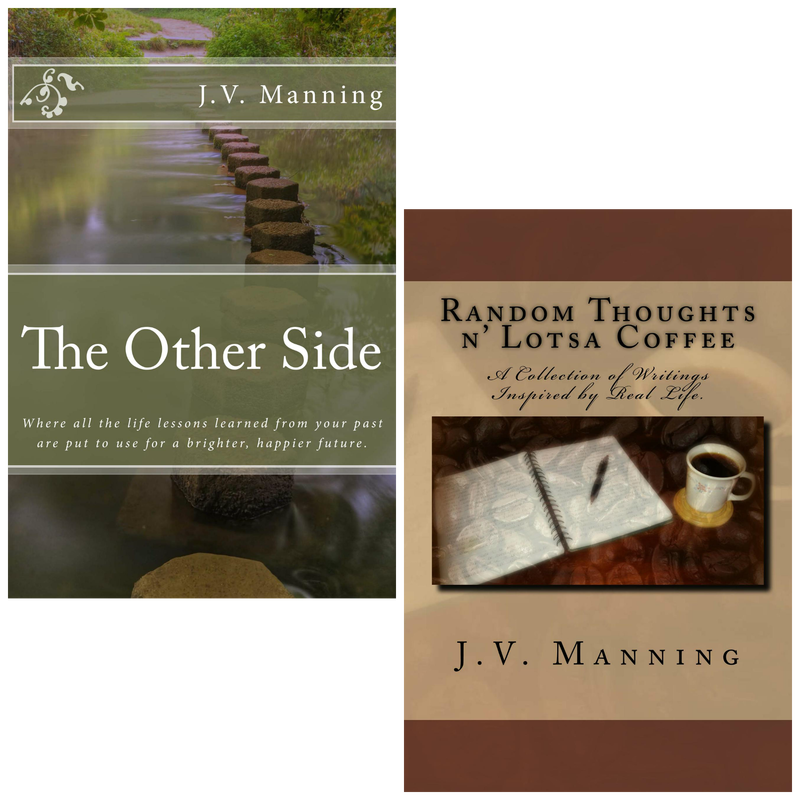 All blog posts and writing are the intellectual property of J.V. Manning, Random Thoughts n' Lotsa Coffee and Caffeinated Inspirations. No personal or commercial use is authorized without my express permission. Failure to obtain permission as required above may result in legal action being pursued in state or federal court. All photos on; www.randomthoughtsnlotsacoffee.com • www.jvmanning.com • www.caffeinatedinspirations.com and www.randomthoughtsandlotsacoffee.com are personal, stock photos, cited or used by permission.